The latest updates to your Meetup tools on the web and apps. Finding and messaging a member of a group is now simpler on the updated members page. We’ve made it easier to sort and message members, added new profile pages directly into the design, and reorganized the members page to match group About and Events pages. The updated members list has all the functionality of the original page, but none of the clutter. You can search a group’s members by name or sort the list of members based on information like the date they last visited the group. Organizers can manage their leadership teams, view pending and banned members, see when a member last paid their dues, and download a full list of members to a spreadsheet. You can also sort group members by relevance. This means sorting members by Meetup groups you’re both a part of and connections on social media like your Facebook friends. You can now see member profiles directly from the members list. These profiles are a quick and simple overview of a member’s information including the number of times a member has RSVPed to a group’s events, the date the joined the group, their last visit, and a message button. Click View full profile to see even more details. You can edit your profile photo and name on your settings page. In 2018, we tested the tools that help organizers stay in touch with members after an event. We set out to understand how organizers communicate after an event and which tools have the greatest impact on member engagement. One takeaway from our research was that the “Stay in touch” emails that organizers and members send to say “good to see you” have been declining in use over the past year. Based on these results, we’ve made the decision to stop sending “Stay in touch” emails. In 2019, we’re focusing on tools that help groups communicate. Here are a few ways organizers can keep up the conversation between events. The event page is a perfect place to engage with active members in your group because attendees are notified about event comments by push notification or email. Leave a comment on the event page while the event is still fresh in mind. We recommend sharing a “thank you” to everyone who attended, a short recap of the event, and even adding a link to your next scheduled event. In a recent survey to organizers, you told us that getting feedback from members was one of your biggest challenges. Now, we’re collecting feedback directly from members and sharing it with organizers and their leadership teams. 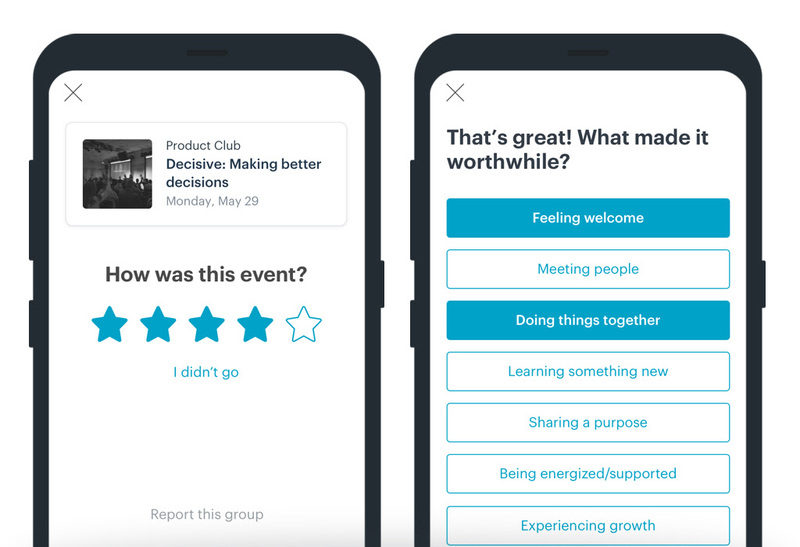 Organizers and event hosts can view feedback from members about recent events including a star rating and a short response based on their rating. Even if it’s a short message, starting a discussion can make an impact. Based on our research, about 60% of groups used the discussion feature on the group homepage to communicate last year. That’s about one million members using the tool to communicate. Groups that use the discussion tool host almost three times as many events with at least 4 RSVPs on average. That’s one and a half times more RSVPs than groups that don’t use the discussions tool. To help organizers find the right location when they're creating an event, we’re teaming up with Google to make our search results more accurate and easier to find by name or address. You can still create a custom location for your event and now you can share it exclusively with your leadership team. Paired with the power of movable map pins, the improved search makes it simple for any group to find and then share their location with members. This update is available on the web—coming soon to the Meetup app (iOS and Android). We’ve been patching up top usability issues and working on making your experience scheduling and managing events smooth and efficient. Find some changes you can discover this month below. Introducing an update to your event schedule form that adds flexibility to your settings, and fixes some of the top issues you told us were getting in your way. It’s the same form with a new layout that makes scheduling more efficient and gives you more control of your events where you need it. Improved layout: It’s faster and easier to schedule an event with the same features on a compact form. One-click copying of past events: Copy your most recent event in one click instead of creating an event from scratch. Easy access to drafts: Access your saved drafts quickly from within the form. Better host selection: Use a simple search feature to conveniently select an event host. We've introduced more organizer tools to the Meetup mobile apps. Here's what you can now find on Android and iOS. We've improved the features around canceling and deleting events. Canceling an event now triggers an automated email to all hosts and RSVPs, so you can be sure the update is clearly communicated with no additional work on your part. Now, when you cancel an event, you can choose for it to remain in your event list, appearing with a crossed-out status, or delete it for full removal. Introducing an update to your event schedule form that adds flexibility to your settings, and fixes some of the top issues you told us were getting in your way. It’s the same form with a new layout that makes scheduling more efficient and gives you more control of your events where you need it. RSVP open and close times won't disappear or change when making edits elsewhere on the form. Events scheduled in different time zones match the group’s time zone instead of the computer’s time zone. Members won’t be able to RSVP with guests when the “Allowing guests” setting is turned off. 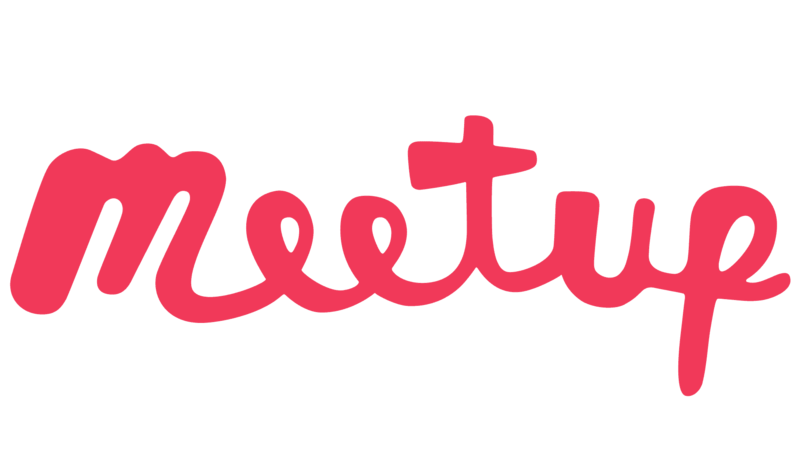 We're rolling out an updated calendar page that makes the Meetup website feel more uniform. You'll be seeing more updates like this that preserve or improve functionality and also make the design consistent. We’ve heard that the calendar was hard to find, and that it was confusing to switch between design schemes on the site. Now, the calendar is easier to access on the Meetups page and has an updated look that's consistent with other pages on the site. Plus it’s mobile responsive so it will look great on any screen you're browsing. Note: As we roll out the new calendar design to everyone, some members will continue to see the old experience. We’re excited to announce the latest version of the Meetup app for iPhone. We’ve rearranged the app to make it easier to keep track of your groups and stay in touch. In the coming months, we’ll continue to work on adding functionality to help you connect with your groups on the go. Update your Meetup app by downloading from the App Store and please feel free to leave us a review! Smile! You have new tools to make your group cover photo and featured event photos look great on the page. Now when you upload a group cover photo or featured event photo, you can easily crop and position the image so that it will fit nicely into the 16:9 space. Grab the crop lines from any corner to best frame your photo. This tool is currently available on web and mobile web. No one likes spammy or low quality discussion threads. To help address that problem, we’re launching a new feature that gives you more control over your Meetup Group Discussions. Flip the toggle 'on' if you'd like members to be able to start a discussion. Or, toggle it to 'off' so that only organizers and the group leadership team can start discussions, limiting members to reply only. Currently the default ‘on’ setting allows anyone, including members, to start a discussion. You can change this anytime by toggling it to ‘off.’ As an organizer, having the ability to limit who can initiate new threads gives you more control over the quality of your Meetup Group content. Learn about more ways to manage Group Discussions.